Currently 8.1 million U.S. women have diabetes in the U.S. and a third of them do not even know they have it. Diabetes is also more prevalent (up to 4 times) in African American, Hispanic, American Indian and Asian/Pacific Islander women than compared to Caucasian women. 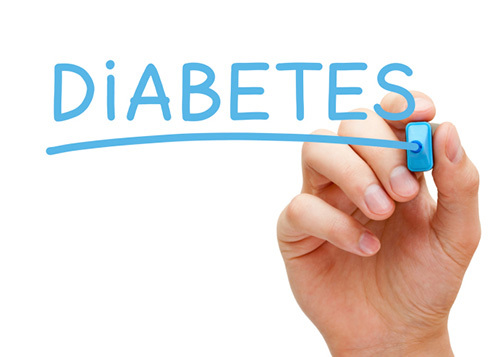 Diabetes is a serious problem that is rapidly spreading across all sections of society. It is the fifth deadliest disease in the U.S. and has no cure. Consider this, every day around 2,200 people are diagnosed with diabetes, and over 800,000 are diagnosed with it every year. Most people do not even know they have diabetes until they develop some serious complications from it such as nerve damage or kidney disease. Women with diabetes have an increased risk for vaginal infection and complications during pregnancy. However women can also develop diabetes during their pregnancy, this type of diabetes is known as gestational diabetes. This form of diabetes develops in 2-5% of all pregnancies and ends when a baby is born. Most women who have gestational diabetes have an increased risk of developing Type II diabetes later on in life. Other factors which put women at risk for diabetes include; obesity, physically inactivity, frequent urination, unusual thirst, extreme moments of hunger, unusual weight loss, irritability and to a certain extent hereditary. However, when we speak of inheriting diabetes it does not mean that you will definitely get it. If a woman remains physically fit eats a well balanced diet and takes care of her body, her risk for developing diabetes falls even if it runs in the family. Recurring skin, gum and bladder infections, blurred vision, cuts and bruises that are slow to heal and numbness of the hands and feet are also symptoms of diabetes. 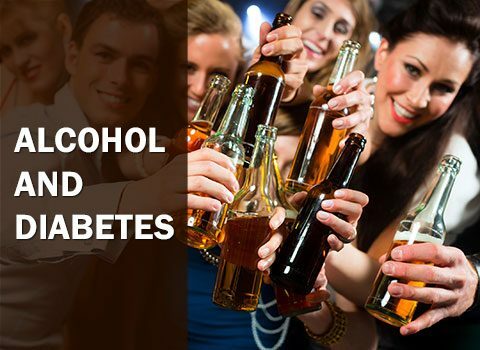 However, some people who develop Type II diabetes show no symptoms whatsoever. 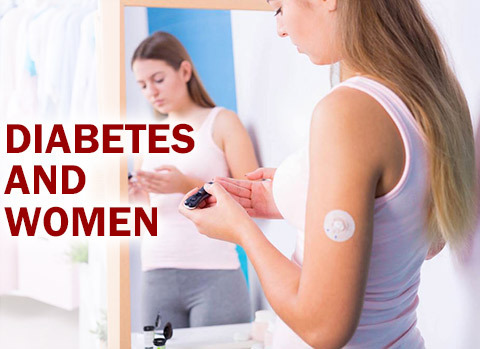 Diabetes affects women in a different manner from men. Compared to men, women have a 50% higher chance of going into a diabetic coma, a condition that is bought about by poorly controlled diabetes and a lack of insulin. Similarly although both women and men with diabetes have similar rates of developing heart disease, more women are likely to die from a first heart attack than men. Diabetic women are also 7.6 times more likely to develop peripheral vascular disease (PVD) than women who do not have diabetes. PVD is a condition that reduces the blood flow and oxygen to foot and leg muscles. With gestational diabetes women are 5 times more likely to develop toxemia, a condition with symptoms of high blood pressure (hypertension), protein in the urine, swelling, headaches and visual disturbances. Complications such as high birth weight (Macrosomia), congenital birth defects and other problems also occur due to gestational diabetes. Children whose mothers developed gestational diabetes are also more likely to be overweight or obese during adolescence and have a greater risk for diabetes as well. Being diabetic, also affects the way in which birth control pills effects blood sugar levels and diabetes control. With diabetic women having a higher chance of getting vaginal and urinary tract infections, so intrauterine devices (IUDs) should not be used, as they can cause problems.  Birth control pills can also increase insulin resistance in certain diabetic women. Women especially with Type II diabetes will find it harder to manage their glucose levels, while on birth control pills. Diabetic women whose blood sugar levels are not well under control also experience irregular menstrual cycles, where the need for insulin goes up before the period first begins and falls once its starts. Here education plays a major role in helping women understand, control and manage their diabetes while living a healthy life. Women need to be monitored by specialist diabetic health care teams, who can help reduce any risk complications that a woman may suffer from. Women need to be taught how to better control their blood sugar levels, as well as their blood pressure and cholesterol levels and get regular check ups. For their part women who smoke, need to quit this bad habit, while obese women should incorporate moderate exercise routines into their daily schedule so that they can lose weight. Non-diabetic women, who are pregnant, should get tested for gestational diabetes between the 24th and 28th weeks of pregnancy, especially if they fall in to the high risk category such as being overweight, have a family history of this disease, are physically inactive and are either African American, Hispanic, Native American or Asian.